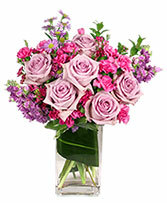 ADD A SPA GIFT CERTIFICATE WITH FLOWERS! Give her a special gift and include a Spa Certificate with her flowers! 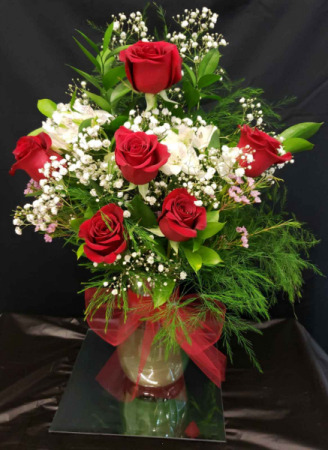 As it is located directly across the street from Fresh Flowers & More, we can arrange to have the flowers delivered to the spa if you choose to make a spa appointment for her. Or we will deliver the certificate to her with her flowers. 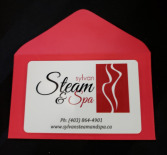 Please note that Sylvan Steam and Spa will charge your card for the Spa portion. Fresh Flowers & More will charge for the flowers. 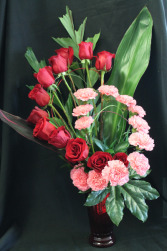 A beautiful arrangement filled with a dozen roses and a dozen carnations that has that WOW factor.